Fans of DUB’s distinctive style will love the transformation this luxury salon has undergone. 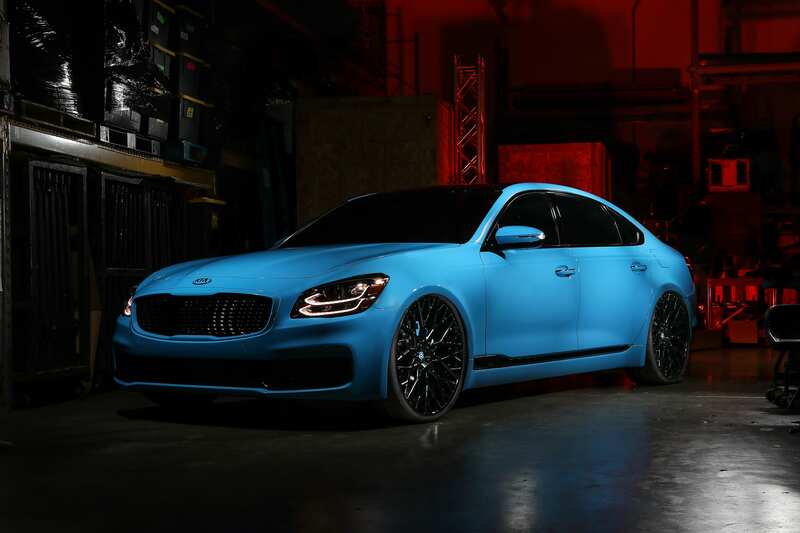 Kia’s 2019 K900 provided the perfect canvas for DUB to unleash its creativity on this uninhibited custom ride. Veiled in electric blue, the wide body K900 features gloss black accents and, not to be outdone, the cockpit has been elegantly detailed with custom blue and black leather and suede upholstery, DUBiR tinted windows, and remote-controlled LED headliner and lighting. Riding on an air suspension to provide that perfect DUB look, this custom K900 rolls on 24-inch staggered TIS forged wheels and 275/25/24 Nitto tires. A specially developed multimedia audio system, remote-controlled LED lighting, and MiFi internet capability make the DUB K900 a rolling paradise.